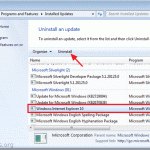 Antivirus Removal Utilities for Common Antivirus Programs. "Yontoo” toolbar by Yontoo LLC is a malicious browser adware and hijacker program that performs browsing redirects and displays advertisements and special offers from unknown vendors. “Yontoo” toolbar is bundled inside other software installation programs and the company claims that the program personalizes the web experience around the internet.